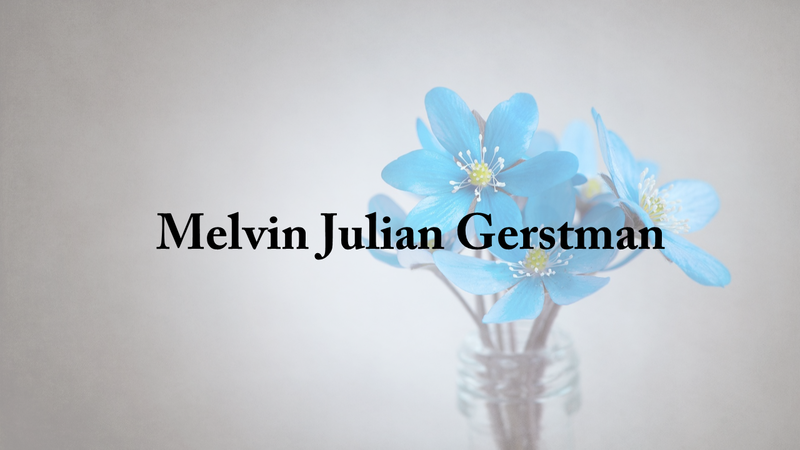 Melvin Julian Gerstman of Vinemont passed away March 25, 2019 at the age of 76. He was born May 22, 1942 in Cullman to William and Mary Emma Johnson Gerstman. He is preceded in death by his parents and a brother Ray Gerstman. Funeral services are Tuesday, March 26, 2019 at Moss Funeral Home Chapel at 7 p.m. with Bro. Charles Sinyard officiating. Survivors are: wife Margie Hendrix Gerstman, daughters Janine (G.T.) Robertson, Teresa (Mark) McBrayer, Amy (Billy) Moore, Michelle Winstead, son Jeff Gerstman, sisters Mary Williams, Carolyn Hancock, brother Ronald Gerstman, 11 grandchildren and 5 great grandchildren. Visitation is Tuesday at Moss Funeral Home from 5 p.m. until the service time at 7 p.m.